Italia Frandi’s Daughter, Elvira Corich Pengelly, Reminisces About Her Life Within The Extended Frandi Family. Pam Frandi Parkhill, Francesco Frandi’s grand-daughter, was a great friend to Elvira Corich Pengelly, who was Italia Frandi’s daughter. 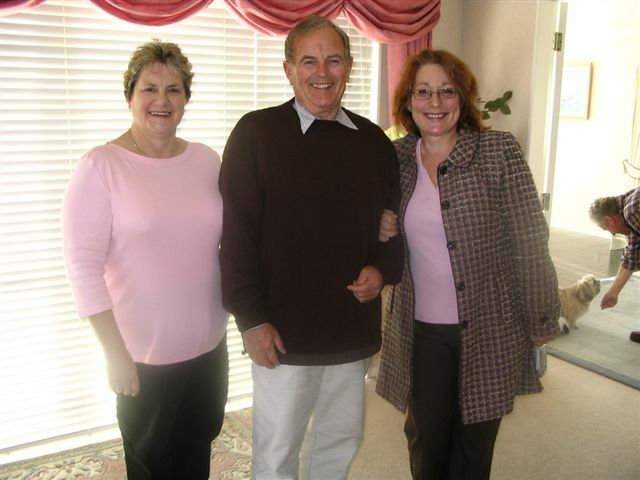 Pam thought it essential to record these memories on tape as a valuable resource of Frandi Family history. 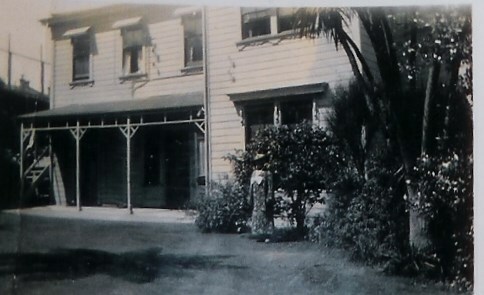 The story telling took place in the lounge of Elvira’s home at 54 Weld Street, Wellington, not long before she died in 1996. 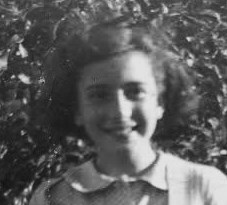 Anne Frandi-Coory transcribed the interview from the tape recording in September 2005. Elvira Begins by Talking About Her First Cousin Amelia Frandi. 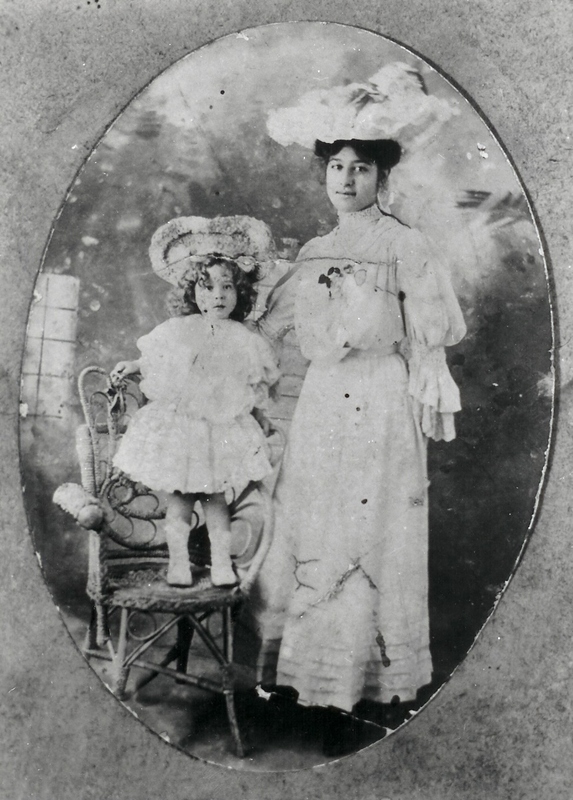 In 1913, when Amelia was 23 years old, she gave birth to a son out of wedlock, Kenneth Maxwell Frandi. His father’s name was not recorded on any documents. Kenneth died when he was three years old as the result of recurrent erysipelas (Fever and deep red inflammation of the skin) toxaemia over three months. On 27 July 1917, Amelia gave birth to another son, Maxwell Lawrence, who, it is believed, was later adopted by Cecil Taylor, the man Amelia would eventually marry in 1922. Elvira describes Cecil as “a first class boozer” although Amelia didn’t drink alcohol as far as she knew. Maxwell was re-named Albert Taylor, and their daughter Jean was born in 1925. Before she was married, Amelia worked for the Richard Seddon household as a house maid. Francesco’s wife Assunta Pierotti left him with 9 year old Amelia, and three young sons, the youngest, 4 year old William, after they had been married for 11 years. They had two other daughters who died in infancy. Read: Francesco Garibaldi Frandi and Assunta Mary Pierotti. 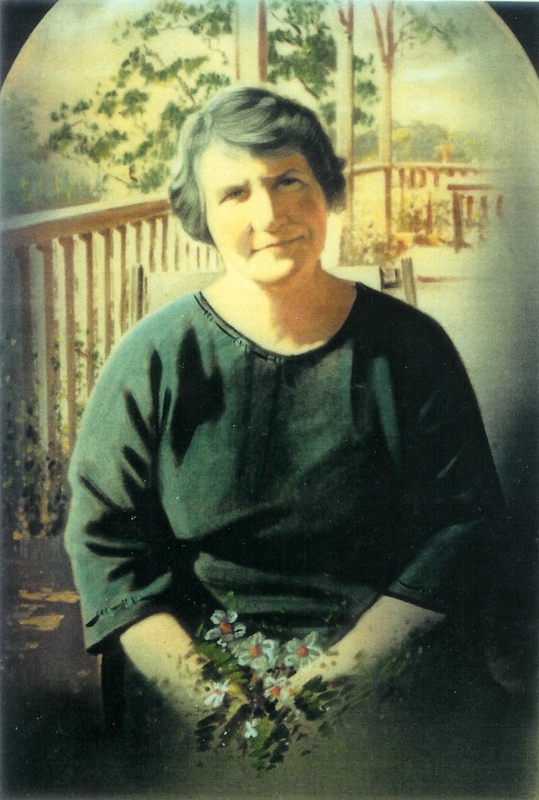 Assunta moved in with Charles Barnett in Whiteman’s Valley, Hutt Valley in Wellington, and they subsequently moved to Tasmania after the birth of their 11 children there. Two more children were born to them in Tasmania. They never married as Francesco and Assunta were both Roman Catholics and could not divorce. Assunta and Charles Barnett’s children did not know their parents were unmarried, nor did they know that Assunta had left behind four children and a husband until after Assunta had died. Francesco’s parents, his sister Italia and his sister-in-law, Italia Pierotti Russo (auntie Kate) helped raise his four children after Assunta’s departure. 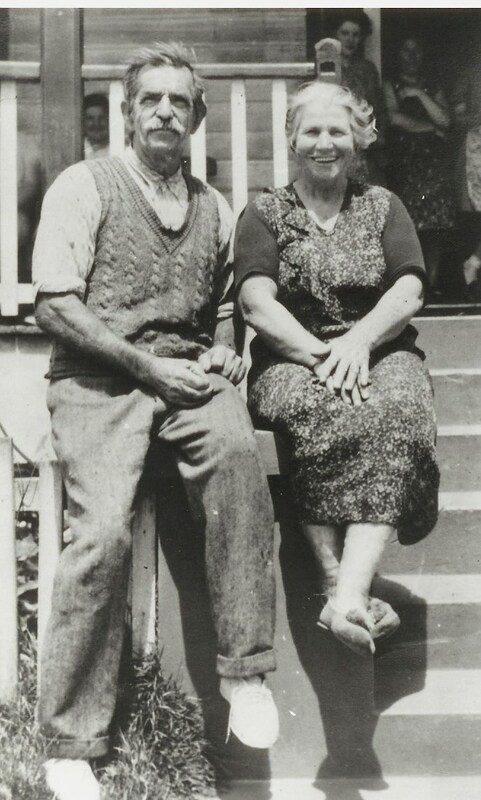 Italia Pierotti married Bartolomeo (Bartolo) Russo, who emigrated from Stromboli Italy, and the Russo family bought property at Rona Bay in Wellington. As Elvira explains, “it is situated between Days Bay and Muratai, which was quite classy even then, and Rona Bay was often called Russo Bay because of the influence the Russo family had in the area”. Elvira remembers her mother quite often taking her over to the Russo’s, usually on a Sunday. They were very friendly people and had many visitors. She recalls that Rona Bay was just a “big beach” in those days, and quite undeveloped, but there was a ferry travelling around the bays. Elvira’s son Tony Pengelly, elaborates, and tells us that he clearly remembers the trips to Rona Bay with his mother and grandmother Italia on the ferry called Cobar. Italia and Bartolo had four other children; Rita who was closer in age to Elvira’s sister Helena, Caterina, Bartolo and Cesare. Eventually “the sons moved to a stud farm in Cambridge”. Some of the family also lived in Tinakori Road for a time, an area where other ethnic groups lived. Makara Farm Front row L t R: Aristodemo, Amelia and Helena sitting on front step, Annunziata, Menotte standing beside her, Antonio and Yolande standing in front doorway, Italia seated in front of them. Then Elvira remembers, with another chuckle, something else about the horse. “Granny Frandi (Annunziata) would have all the windows open – and when she baked she would put the scones or the rice buns on the sill to cool. But of course that horse could smell the baking, and steal the food, while granny was busy elsewhere. 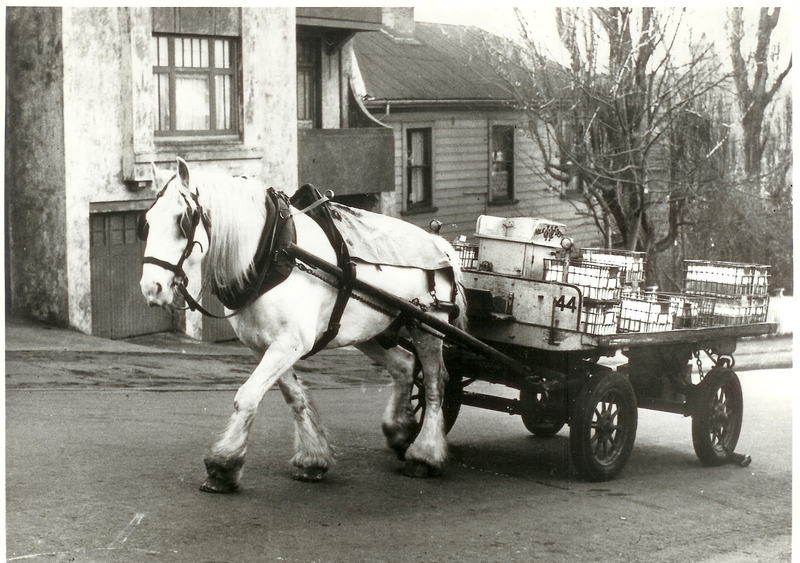 Then suddenly we could all hear granny shouting ‘that bloody horse!’ at the top of her voice”. Elvira describes the farmhouse layout. “At the back of the house, there was a huge vegetable garden, and [from there] you would walk into a kind of shed where water was boiled in a big copper and the water [pipes] was attached to the back of the open fire and coal range”. This shed was where everyone left their coats and shoes before entering the farmhouse kitchen. The farm workers slept in the hay loft, “but they didn’t put boys and girls together, that wouldn’t have been right”. Describing her cousin Menotte as “happy go lucky, although a shingle short”, Elvira adds, “but he was very fond of my sister Helena”, intimating this redeemed his shortcomings. Menotte’s brothers “Ricciotti and William were very reserved and shy but everyone got along with each other very well on the farm”. Ricciotti was a “terrible gambler”, and there was a casino not far from where the family lived in Wingfield Street, “but he was very hard to get to know”. The extended Frandi family and their friends “loved going to the farm because it was such a happy place”, says Elvira dreamily, “and there used to be singalongs most nights, although everyone usually went to bed very early because the men had to get up about 5am to milk the cows and do the milk run”. Life at the farm was based on “a lot of friendships where there was an old record player, you know with the huge sound trumpet, and the women did embroidery, mending and made cushions. Granny Frandi was great at mending clothes, she was very, very neat. There was always a lot of laughter”, cackles Elvira as she relates those warm, happy times, “and although Francesco was very quiet he liked company, and there were a lot of sing songs”. Elvira illustrates, “Uncle Enrico played the clarinet, Uncle Antonio the trombone and the trumpet, while uncle Ateo played the piano. Uncle Alfred liked to sing and play the fool! There is a photo somewhere of uncle Antonio taken at the front door of the farmhouse” continues Elvira, “where there were two bedrooms there at the front, two more further down the hall and then a double bedroom which was grandpa and granny’s. Then you walked into a big room which was the dining and sitting room combined, and the kitchen was off that”, she finishes. Elvira, Italia and the Convent. Elvira once again turns the conversation back to her beloved mother, Italia. “We were forbidden, as children, to play outside in the street [Wingfield Street, Wellington] but my mother was quite happy for us to play on the huge lawn in the front of the house. She was very kind and my friends were often invited over for treats. One day my playmates were overheard by my mother to say that ‘Vera will get the strap’, and my mother questioned the girl as to why. My playmate then explained to my mother that on Monday mornings at school the Mother Superior would ask at assembly for those who did not attend Sunday School to raise their hands. And those who raised their hands got six straps on the hand which really hurt. After a couple of times I did not raise my hand any longer, to avoid the strap”. Elvira says her mother was furious and felt that the convent school was turning her daughter into a liar. “So”, Elvira carries on, “my mother goes to the convent and says to the Mother Superior, ‘I am Elvira’s mum, is it true that if the girls do not go to Sunday School, they get the strap?’ ‘Yes’, replied the nun, ‘that is our ruling’. My mother next explains to the austere nun ‘I can rarely go out, and the weekend is the only chance my daughter gets to go out to the Makara farm’. 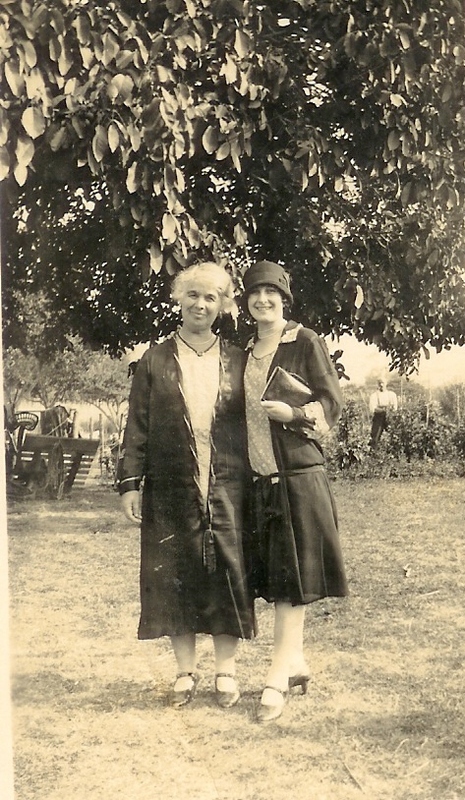 Then my mother lectures, ‘I think that you should check with each family about what their situation is – you are just encouraging my daughter to lie so she wont get the strap!’ So my mother removed me to a State School”, Elvira tells me with unconcealed pride. “But my mother did send me back to the convent years later to learn music”, she adds quickly. Elvira then discusses the shops in the vicinity of 20 Wingfield Street where the family lived before moving to 16 Murphy Street, which was a boarding house as well. The other streets are “Molesworth, Hill and Aitken Streets”, The shops include a “shoe repair, Prestons Butchers, horse and cart yard, and a big house with a very long verandah”. On the corner of Wingfield Street there was a Chinese shop with accommodation. “Our house had three steps up to the entrance, all the houses seemed to have three steps up to the doors”, noted Elvira as an aside. “In those days the Chinese had pigtails and they wore black caps, and kids would always try to pull their pigtails or else pull their caps off. They used to get angry and chase the kids with a knife, awful choppers they were”. This evokes memories of her dear sister Helena who was 14 years older than she. Even though most of the memories were happy ones for Elvira, there is obvious poignancy in her voice when she speaks of Helena, who died at the age of 30. The large age difference meant that Helena would have been like a second mother to Elvira, who was sixteen when her sister died and it would have had quite an effect on her young life. Elvira elicits that the Chinese “thought the world of Helena”. Italia always felt sorry for her niece Doreen as “she had a pretty hard childhood”, Italia had one day told Elvira. 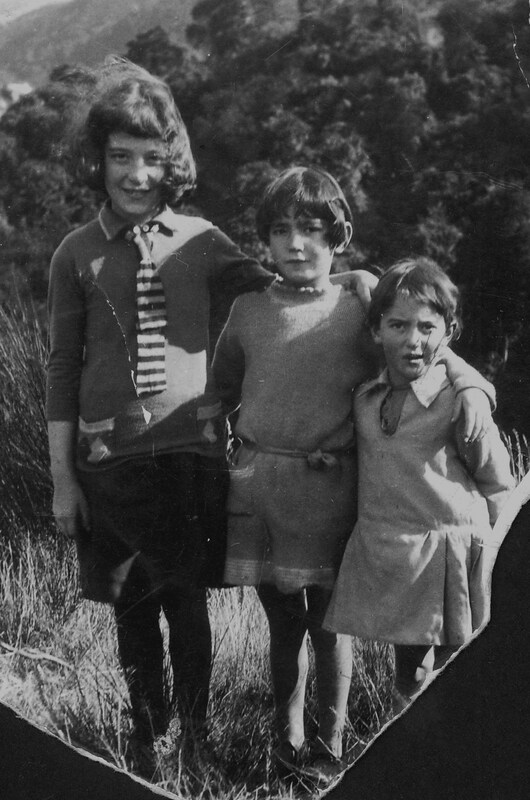 “She was the eldest girl and was responsible for helping around the house and caring for the three younger girls, Joyce, Betty and then Anne” and it was evident that Doreen was very attached to Italia. Anne, her youngest sister, also has stories to tell about the hardships of Doreen’s life, and the heartbreaking events she was a witness to. Although there were 16 years difference in their ages, Doreen and Anne were very close. Doreen’s son Kevin was also a part of the many sad times in her life and speaks eloquently of them. It is attested to by several members of the family, that Doreen’s mother Maria, or Millie as she was known within the family, was a morose woman in looks and in nature, and there are very few photos of her looking happy. Doreen reminded Tony very much of her mother Maria, in her features and demeanor; fragile and anxious. Elvira spends some time talking about her first marriage to William (Bill) Meban, whose photos show a very handsome man, with dark swarthy looks. “We were engaged after only knowing each other for three months”, she explains, with mirth in her voice. “My mother and both families had set a date, but Bill didn’t want to wait for that date, he wanted to get married straight away”. Pam states, “your mother didn’t get a chance to make the wedding dress”. “Well, yes and no” replies Elvira, and then she tells us that she and Bill decide that they will get married on a week night and plan for their secret event meticulously. “Bill was an engineer on the Ripple, a New Zealand Coastal ship, and we knew it had to be that particular week or we would have to wait for his next trip home”. Elvira then explains the hectic timetable they had devised for themselves. “I had a singing lesson that afternoon at the convent, which would explain why I was dressed to go out, and it was my chore to prepare the dinner that night, so I bought something quick to cook. 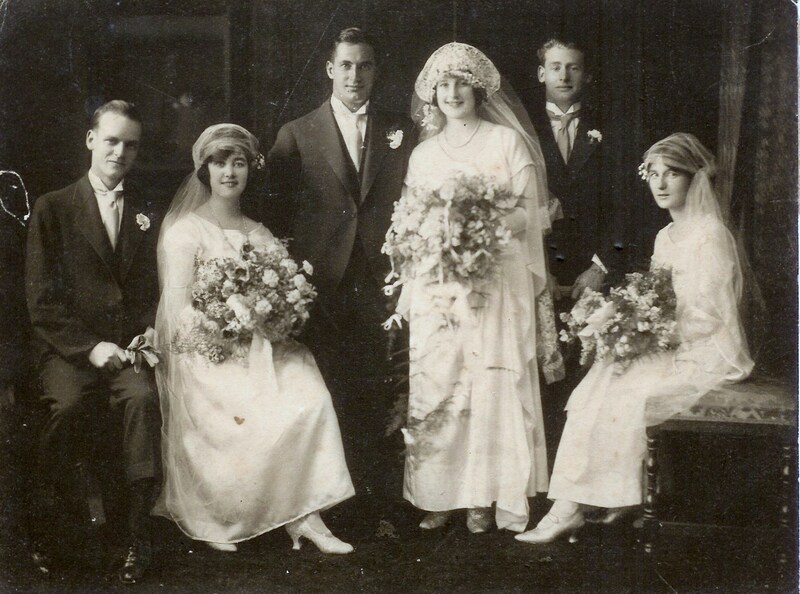 Bill would be at our place for dinner, so we could head down to the Registry Office as soon as dinner was finished.” Elvira then says with girlish giggle, “I made a dessert for tea, it was huge – to last two or three days I told everyone”, but in reality it was to be for their wedding breakfast. “We left separately, and then met up at the Registry Office, and we had two witnesses, Edith Brown and the ship’s Chief Engineer. As we prepared for the ceremony, Bill suddenly exclaimed, ‘Vera, look at your frock!’ and I looked down to see blood had dripped onto it from the quick steak meal” she laughs. “I had borrowed that dress from Uncle Alfred’s wife Maria”, Elvira tells us. It is unclear whether Auntie Maria was in on the secret wedding plans. Elvira confides that she and Bill had often discussed having children and what faith they might bring the children up in. And what church would they marry in? “Well we got married in an Anglican Church, my mother was a Roman Catholic and Bill was a Presbyterian”. However, Italia was relatively unconcerned, counselling her daughter that “God means you to be happy, so you decide, it’s up to you”. Tragedy was about to strike the young couple. You could sense the sadness as the details of the tragedy slowly emerge; “I remember there was a severe storm that night . Oh there were often bad storms, but this was worse than the others. I got up in the morning after a sleepless night, and on the way to the bathroom, I could hear my mother talking to a lady, ‘You had a busy night last night, with the phone ringing constantly’”. Elvira recalls that the lady had replied “Get a good breakfast into Vera, the ship was wrecked with all lives lost in that terrible storm.” The news was absolutely devastating for Elvira. “Bill was in the engine room – not a hope of getting out, and Bill had always told me that the ship was a death trap. And the strange thing was, the Chief Engineer died in the night, the same hour as Bill died in the shipwreck, but he was in hospital with peritonitis,” she finishes quietly, obviously the memory is still painful for her after so many years have passed, and she changes the subject. By all accounts, Elvira never really got over the heartbreaking loss of her first love, Bill. But Elvira was no stranger to tragedy, and neither was her mother. They lost a father and husband, Pietro Corich in 1906, a much loved sister and daughter, Helena, in the 1918 ‘flu epidemic, and the child Helena was carrying. Italia also had to deal with the death of one of her favourite brothers, Ateo, in WW1 at Gallipoli. Elvira married her second husband Melville Pengelly in 1931. She died 7 May 1996 and is survived by her only son Anthony John Pengelly. Thank you to Pam Frandi Parkhill and Tony Pengelly for their contribution to this piece of Frandi Family history. Francesco Frandi and Assunta Pierotti were married in December 1888 when Assunta was pregnant with their first child, Bella Italia Rosina Satina who was born 13 July 1889. Bella died on 20 February 1890 from exhaustion after a severe bout of diarrhea and vomiting. Assunta was about four months pregnant at the time with their second daughter, Amelia Fatima Elena. 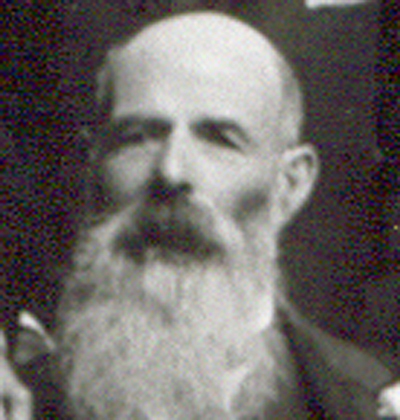 The couple then had two sons, Menotte Garibaldi and Ricciotti Orlando. A third daughter Olivia Stella died shortly after her birth on 11 February 1894. Their last child, William Donald, was only about four years old when Assunta left and moved in with Charles Barnett. Assunta’s sister Italia (Kate) Colorinda Pierotti married Bartolomeo Russo whose parents were Domenico and Josephine Castellano Russo. Kate also suffered tragedy; she gave birth to a set of twins who died in infancy. Kate and Italia Frandi, Francesco’s sister, helped to rear Francesco’s four surviving children. Nevertheless, the four children, and Amelia especially, had a difficult early life, which I document fully in my book Whatever Happened To Ishtar? 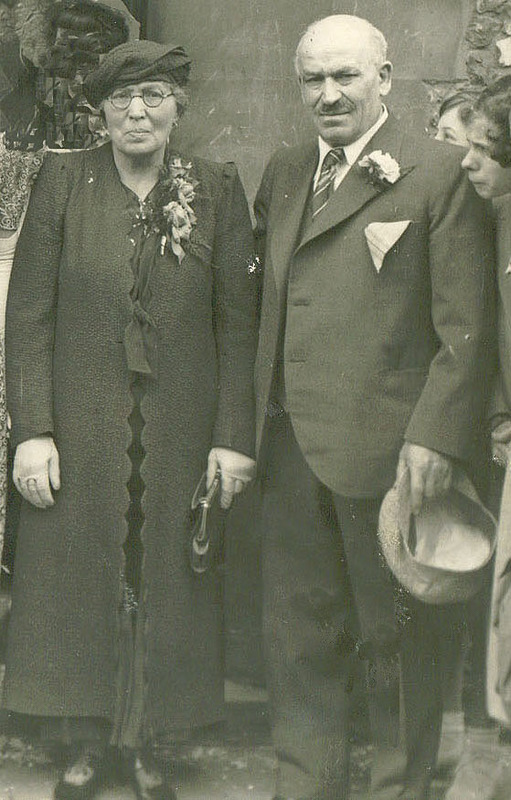 Cesare and Luisa Armita Pierotti were Assunta and Kate’s parents. Cesare’s gravestone bears the inscription, “He fought for the independence of Italy in 1860”. Both are buried in Karori cemetery. Assunta was the business manager of the successful partnership – Charles could not read as he only attended school for a day. Assunta read the newspapers to him. They owned a boat building company; Charles built a yacht, and they had shares in a timber mill and a hotel. He also built eight houses. Francesco never agreed to divorce Assunta, so she and Charles Barnett were never married. One day while Assunta’s grand daughter was brushing her hair she suggested to Assunta that she should make a will. Assunta replied that “it would be a bit difficult”. When she died there was no will and the family discovered in disbelief that their mother wasn’t married to their father and then they discovered photos of her four children to Francesco that she had abandoned in New Zealand. The family just didn’t want to believe that their dear mother could abandon her children! Kate and Assunta corresponded regularly and Kate kept her sister fully informed about the children’s lives. Amelia, one of those four children, contested probate and she and her three brothers received a settlement which was confidential. Marcus, Assunta’s son, helped his father, Charles Barnett, to fight the claims from New Zealand. Assunta buried money as she did not trust banks-neither did her mother Luisa or sister Italia (Kate). 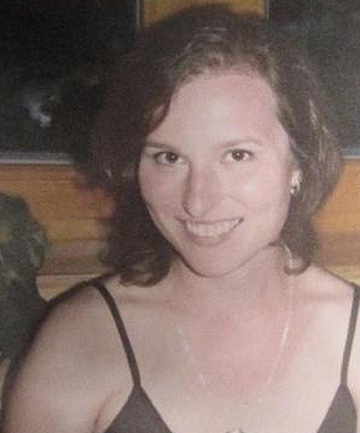 When Luisa died money was found stored in bamboo curtains, a large suitcase and pillows. She often tied money around her legs. 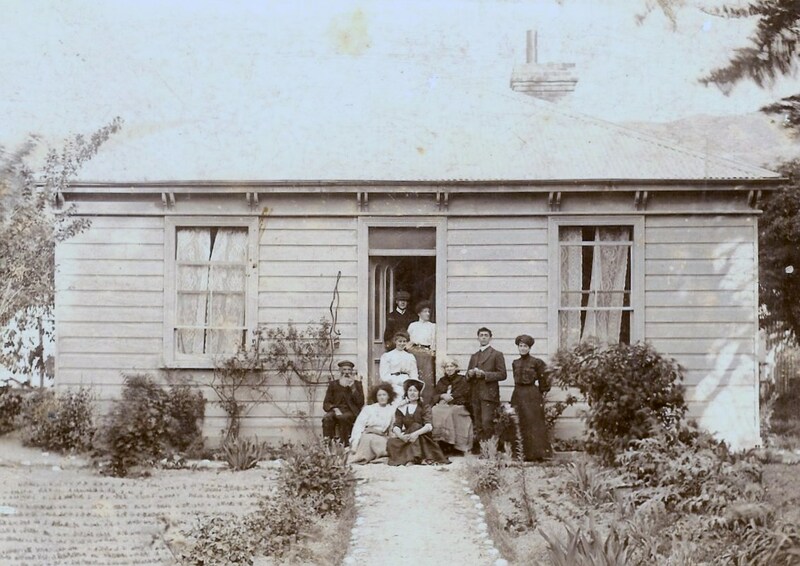 The Frandi farm at Makara, Karori, in Wellington where the extended Frandi family enjoyed some happy days. L to R Aristodemo Frandi, Francesco’s daughter Amelia and Italia’s daughter Helena seated on step, Annunziata, with Menotte standing beside her. Antonio and Yolande are standing in doorway, Italia seated in front of them. When Assunta left Francesco for Charles, the couple remained in Wellington for some years until they moved to Tasmania. 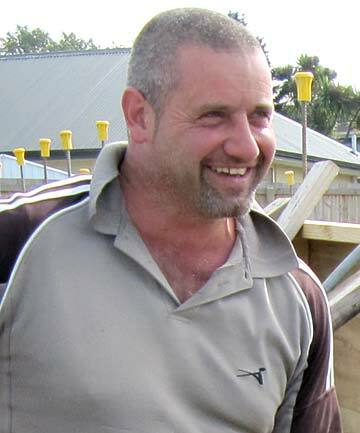 One of the reasons Francesco’s son William moved to Waimate after he was married, was because (according to William’s son Bryan), of the continued embarrassment William felt about his mother’s abandonment of her first four children and her affair with another man. In those days, Wellington was a small town, and Charles and Assunta originally lived together not far from where Francesco and his children lived. William remained a very shy man who hardly spoke. Bryan told me that when he was a child, he rarely heard his father speak, and as a consequence he didn’t utter a word either. Assunta and Charles Barnett eventually left Wellington New Zealand for Tasmania on 10 December 1910, after the birth of 11 of their children. Another two children were born in Tasmania. The Barnett family had owned land in ‘White Man’s Valley’ near Wellington but had sold most of the farm when they decided to move to North Eastern Tasmania. 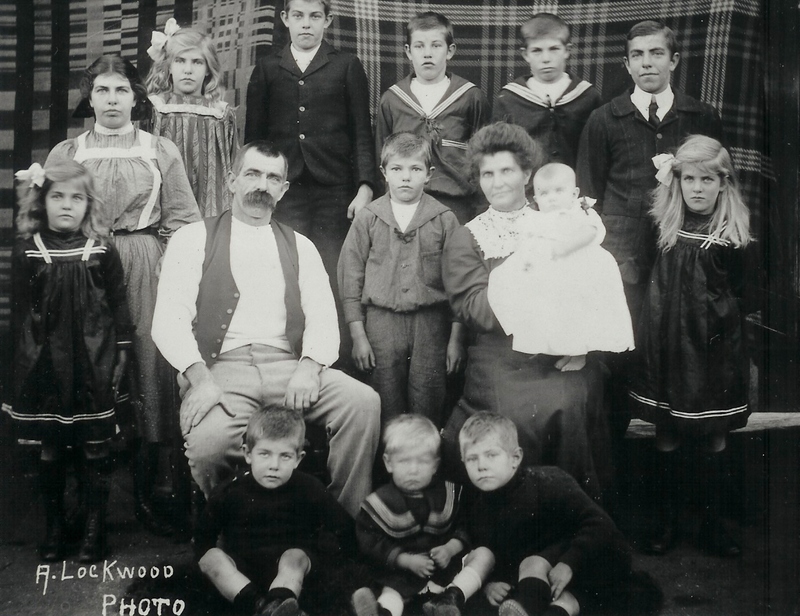 The Barnett family eventually became closely associated with the development of Bridport for the following seventy years after their arrival in Tasmania. Initially the family lived in Scottsdale for two years after which time they purchased one thousand acres in the Cuckoo Valley area. They cleared the land and bought livestock for their new farm. When the Forester Mill was being established, Charles helped install some of the machinery and lay the railway track to the mill. The tramway extended from Mt Horror to Bridport from where the timber was shipped. After five years working in the Mt Horror timber industry, Charles built a boarding house, now the town’s hotel. In 1929 he built more rooms onto the boarding house and later built eight houses. Charles built the first store in Bridport. When the First World War broke out in 1914, the couple’s oldest son George enlisted and took part in the landings at Gallipoli. In a twist of irony, Francesco Frandi’s three sons Menotte, Ricciotti and William, also enlisted. In 1912, Charles purchased one of the blocks offered for sale in the then new part of Bridport, near the Timber and Tramway Company’s jetty. On this he built a substantial family home. Charles was also credited with starting the town’s fishing industry in 1915 and he also played a large role in the establishment of Bridport’s holiday ‘Canvas Town’. Today, the Barnett family remains closely linked with the fishing industry and descendants own and run a well known restaurant there. 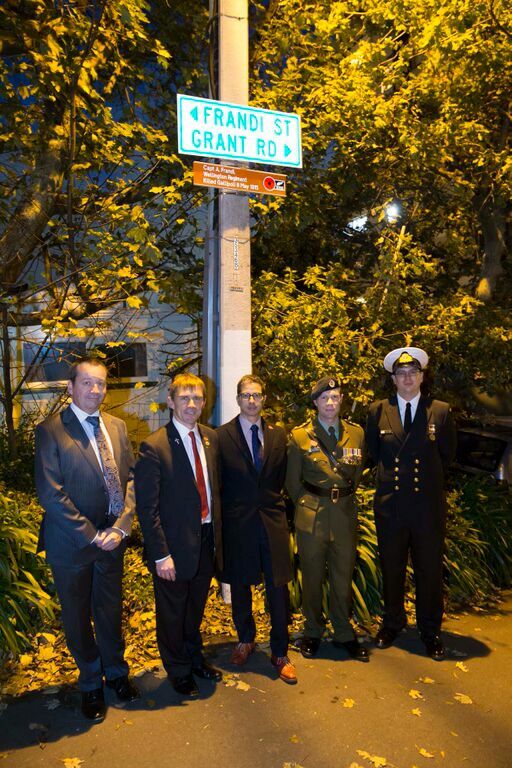 At 5.45pm on Friday 8th May 2015, the 100th anniversary of Ateo Frandi’s death at Gallipoli, a small ceremony to unveil a sign commemorating Captain Frandi was held at Frandi Street, Thorndon in Wellington, New Zealand. Frandi Street in Thorndon is a quiet little residential cul de sac, once known as Grant Road North, and then briefly as High Street. 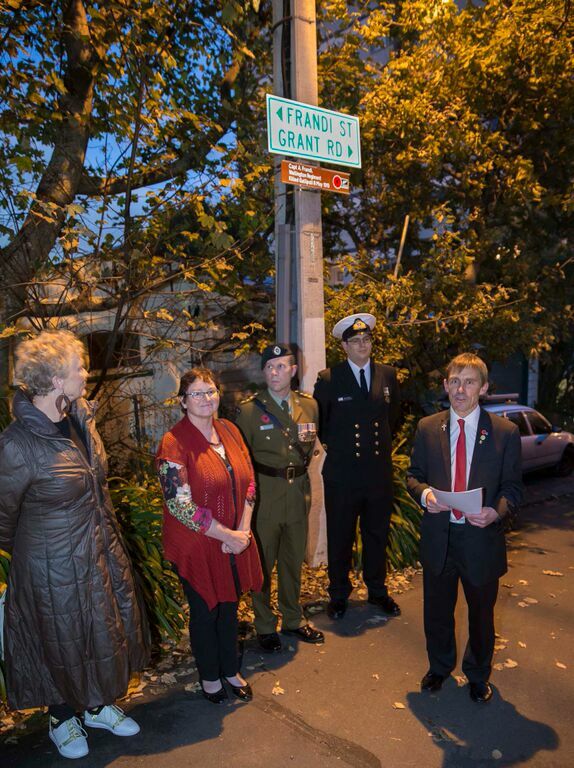 On 14 June 1917 Wellington City Council confirmed a change of name to Frandi Street. 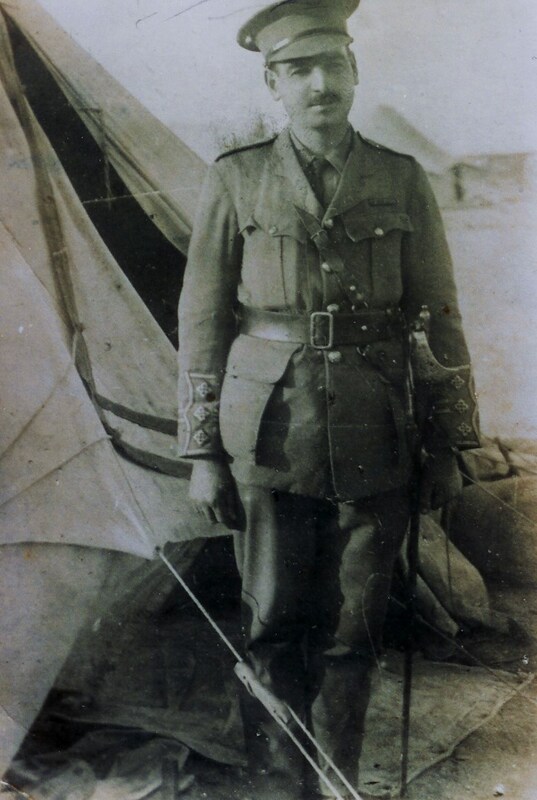 Frandi Street is named after Captain Ateo Giusto Leale Frandi, of the Wellington Infantry Battalion, who was killed at the second battle of Krithia. There are several versions of his death at the ’Daisy Patch’, either by machine gun fire or a sniper. Occasional references say he was killed on May 6th but the clear consensus is the 8th of May 1915. With stalemate in the ANZAC area, ANZAC commander General Birdwood had sent Australian and New Zealand troops to support British, French and Indian troops attempting to capture the village of Krithia which lay between the ANZAC landing beaches and the British and French landings near Cape Helles at the southern end of the Gallipoli peninsula. Repeated attacks across open ground under heavy machine gun and rifle fire achieved temporary gains of barely a few hundred metres of ground and cost some 6300 Allied killed or wounded including 835 New Zealanders over just 4 days. Most of the dead including Captain Frandi were never identified, and were buried near where they died. After the war bodies were re-interred at nearby Twelve Tree Copse cemetery. One hundred and seventy-nine New Zealanders including Captain Frandi are commemorated there on the New Zealand memorial. Captain Frandi had spent 24 years in the volunteers and territorials in Wellington, and for many years commanded the 31 Company (Wellington) Senior Cadets. He was rated as ‘one of the first authorities in infantry drill in New Zealand.’ His YMCA Cadets had won the New Zealand competitions for two years straight. How Great Uncle Ateo’s War Service Medal found me. In 1912 a dispute between Captain Frandi and the Defence Department over seniority between Captain Frandi and another officer was widely reported throughout the country and even referred to in Parliament on a number of occasions. Captain Frandi originally resigned over the dispute, but retracted his resignation and was able to resume his command of the Cadets. Wellington was the embarkation port for some 60% of our soldiers, and Captain Frandi’s unit embarked for Egypt on 14 December 1914 with the Second Reinforcements. He arrived in Suez on 28 January 1915 and landed at ANZAC Cove on April 25th. 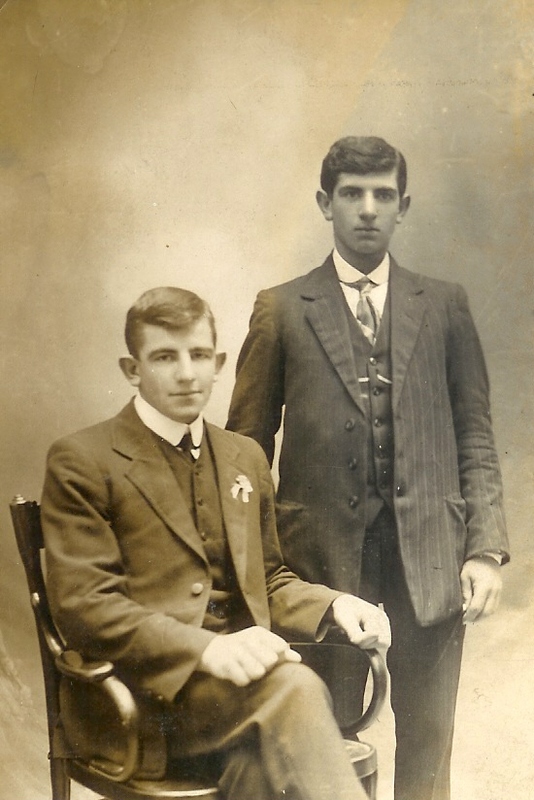 All the Frandi brothers enlisted; Lance Corporal Antonio Raffaello Frandi served in the 1st NZRB B Company, Driver. Alfredo Giusseppe Frandi (Anne Frandi-Coory’s grandfather and youngest brother of Ateo) and nephew, Driver Ricciotti (Richard) Frandi, were both in the Main Body Field Artillery. Nephew, Gunner William Donald Frandi, was in the 7th Field Artillery, and nephew Menotte Frandi also served. Nephew William Frandi, a gunner with the Field Artillery was reported wounded in the Evening Post of 27 September 1916 which said three others of the family were also serving at that point. Ateo’s Will named as first beneficiary his sister Italia Corich and her daughters Helena and Elvira. The Pension Board granted his parents support in November 1915 on receiving confirmation that he had financially supported them. His father Aristodemo died aged 86 in 1919, and mother Annunziata aged 79 in 1920. Captain Frandi was clearly held in high esteem. A concert in his memory was held by the Senior Cadets on the first of November 1915 in the Wellington Town Hall. When the Carillon was built as a memorial to those who had served in the War, most of its 49 bells were named for specific battles, and in memory of individual soldiers. Captain Frandi’s sister, Italia, paid for bell number 30, ‘Krithia’, in his memory. His mother donated a memorial shield for the Cadets, now held at the Army Museum in Waiouru. I saw Captain Frandi’s name on one of the white crosses of remembrance at each of several local school and community commemorations recently. 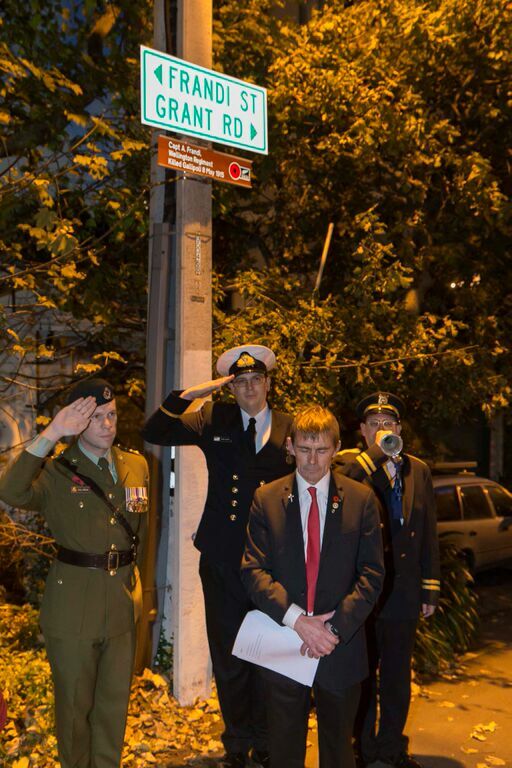 At ANZAC commemorations we say ‘At the going down of the sun and in the morning, we will remember them.’ This Friday 8th as the sun goes down at 5.45, we will remember one of those men, as was intended when the Council of 1917 renamed a little street in Thorndon. This post is taken from an article specially written by Wellington City Councillor, Andy Foster, for the commemoration of Frandi Street. 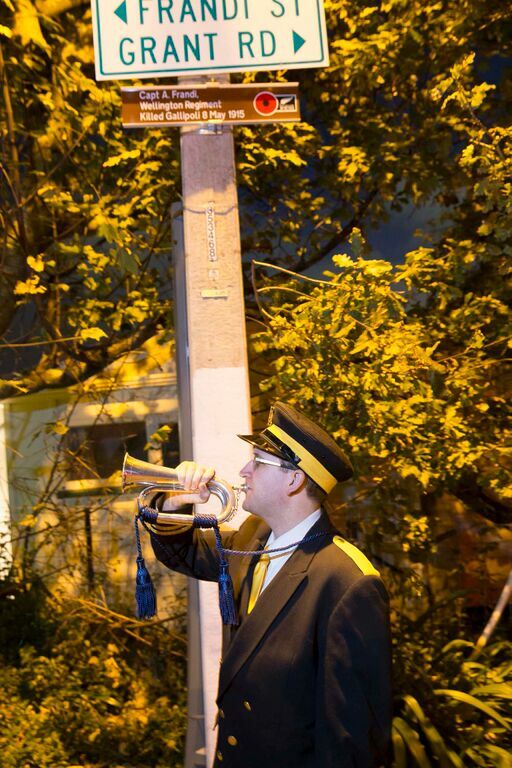 The Last Post following Andy Foster’s reading of the dedication to Ateo Frandi. Wellington City Councillor Andy Foster reads a statement by Anne Frandi-Coory on behalf of descendants of Ateo’s parents, Annunziata and Aristodemo Frandi. One thing Aristodemo did speak of, was the betrayal of Garibaldi and his followers, by priests and nuns, as they looked for shelter and food on their way to the South “to convince Southerners to support the Risorgimento”. My Greco ancestors lost their lands in southern Italy and moved up the peninsula as did many of its compatriots. They eventually emigrated to the UK. 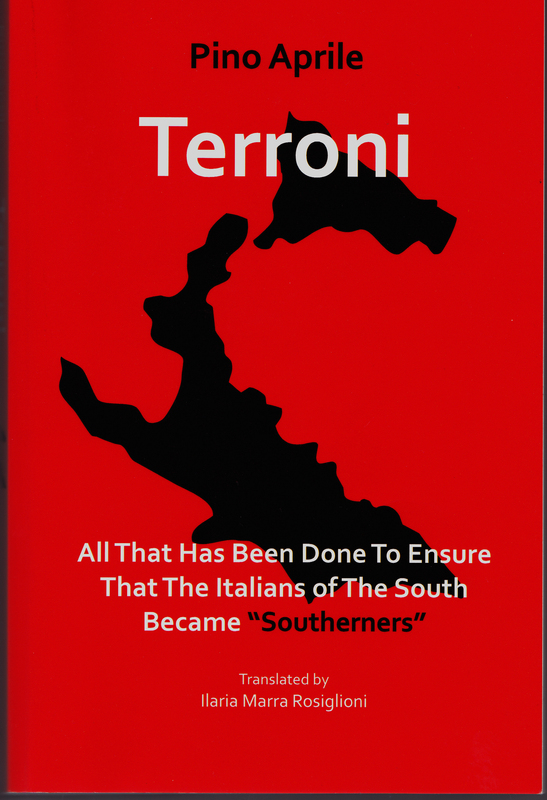 Terroni is full of the horrors of civil war, and today the oppression of the South by the North continues. Aprile even discusses the possibility that the ‘elitist’ North is doing everything in its power to divide Italy in half and jettison the South. The author believes that the people of Southern Italy are set to fight back. Thirteen to twenty million Southerners fled the south during and after the Unification and their descendants now realise what has been taken from them. Unlike in the past, Southern Italians and their descendants are proud to talk of their history in a pre-united Italy. This book is a must-read for all Italians, inside and outside Italy, and for anyone who has a passion for Italy. Thank you Pino Aprile for the courage you have shown in writing this book and for bringing us the ‘other side’ of the Risorgimento.